Posted 10th June 2016 & filed under Blog, Intergenerational Justice, Pensions. The House of Commons Work and Pensions select committee will hold a new public inquiry into final salary pension schemes, according to a recent announcement. This will be responsible for investigating the problems facing all private sector defined-benefit pension schemes, following the questions that have recently been raised by the crises at Tata Steel and British Homes Stores (BHS). Occupational pension schemes – particularly the defined benefit (or “final salary”) type in which the employer holds all the employees’ longevity risk – have struggled in the UK over recent years because of a combination of rising life expectancy among Britain’s workforce and low returns on their capital. The UK as a whole has roughly 6,000 separate occupational pension schemes, over 5,000 of which are currently reckoned to be in deficit. The size of the gap between their total combined assets and liabilities is estimated to be £805 billion, and even those which are not in deficit have a combined surplus of just £4 billion, giving them a relatively small buffer should their circumstances suddenly deteriorate. The recent problems affecting BHS and Tata Steel have provided particularly severe examples of how struggling firms can be undermined by their pension liabilities. The fact that BHS’s company pension scheme had a gap of £571 million between its assets and its liabilities has been widely cited as one of the key reasons why it was so difficult to find a credible buyer for the company, while the government is now publicly consulting on ways of changing the pension promises that were made to British Steel workers in order to keep Tata Steel’s troubled UK steel plants in business. In both scenarios, the biggest losers are likely to be the workers, who will now almost certainly get less than they were expecting to when they retire. The BHS pension scheme will probably be absorbed by the government’s “lifeboat” service for distressed schemes, the Pension Protection Fund, but this means workers who haven’t yet retired could see their eventual pensions cut by 10%. 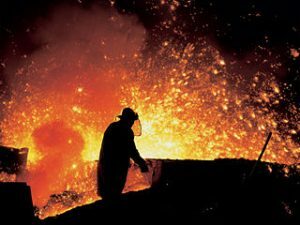 Meanwhile, the consultation on the British Steel scheme puts on the table the fairly radical option of changing the measure of the scheme’s indexation from RPI to the less generous CPI, which would set a significant precedent that could be applied to many other schemes in future. The new pensions inquiry has been convened in part to examine whether these schemes were victims of exceptional circumstances, or if in fact they are emblematic of the broader problems affecting occupational pensions. IF would argue that the real problem here is the intergenerational nature of these pension promises: now that the bills are falling due for promises that were made in the distant past, many firms are finding that the money is no longer there to pay for them. In extreme cases like British Steel and BHS, this is leading to a painful process of deciding who should take the necessary haircut to make these pension schemes affordable – whether it is today’s older workers and retirees in the form of reduced benefits, or staff and shareholders who lose out through lower wages and profits. “The Select Committees’ in-depth case study on BHS is illustrating how such schemes are already creaking from rising life expectancy and record low returns on capital. Pension law and regulation must urgently adapt to the issues of the future, rather than the problems of the past. The whole savings edifice is in danger…The impact on millions of people’s living standards from intergenerational trade-offs of income and wealth are brutal. Like all “great problems”, this raises very difficult questions, and the fact that the idea of reneging on contractual pension promises – which would once have been virtually unthinkable – is now under serious consideration shows just how dramatic things have become. Image: Metallurgist working by the blast furnaces in Třinec Iron and Steel Works; reproduced under the terms of Wikimedia Commons; used with permission of Třinec Iron and Steel Works (Třinecké železárny).